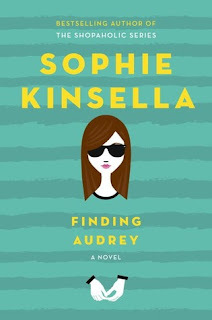 I've not read any Sophie Kinsella before so I came to this novel blind except for knowing that other people quite rated for adult novels. I am pleased to say that I really enjoyed it and now think maybe I ought to read more of her books. The story itself is thoughtful and funny with real heart. I loved Audrey's family and their odd ways. Audrey's mother in particular made me laugh a lot in the way she dealt with her children especially Frank. Speaking of Frank. Frank had to be my favourite character. I loved how he typified that teenage computer gaming obsessive generation and the strain his obsession had on the relationship with his mother who just couldn't understand why he was so into it. This book has a lot to say about OCD and how it is a really serious condition and not something to be made light of. The way it affects Audrey has a profound impact on the way she functions day to day it is really hard to see her struggling with it but equally satisfying to see her trying to work through it. 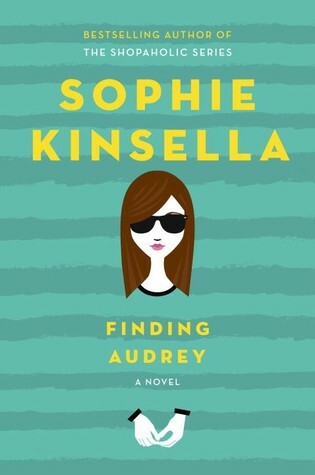 I am very much looking forward to more YA from Sophie Kinsella in the future. Completely agree, I loved the book and how Kinsella combined humour with some much darker and harder topics. Frank and the Mum's relationship was brilliant and frequently had me laughing out loud! I hope you enjoy some of her adult novels! Great review.